An old barn with new techniques. This is another image from my drive in the countryside around orwell. I found this barn in a sea of grass. I could only image this little structure’s history. I painted in a little hill in the background and the grass was an experiment in green texture. This image is less about the lonely expanse and more about building. 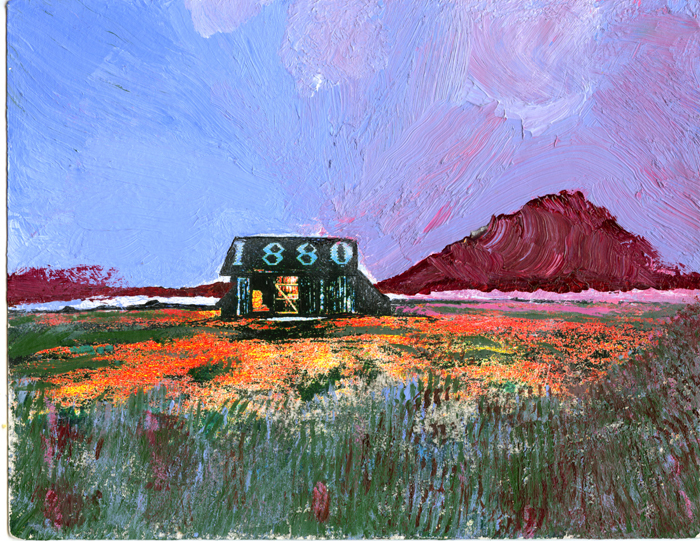 Be the first to review “1880’s Barn” Click here to cancel reply.